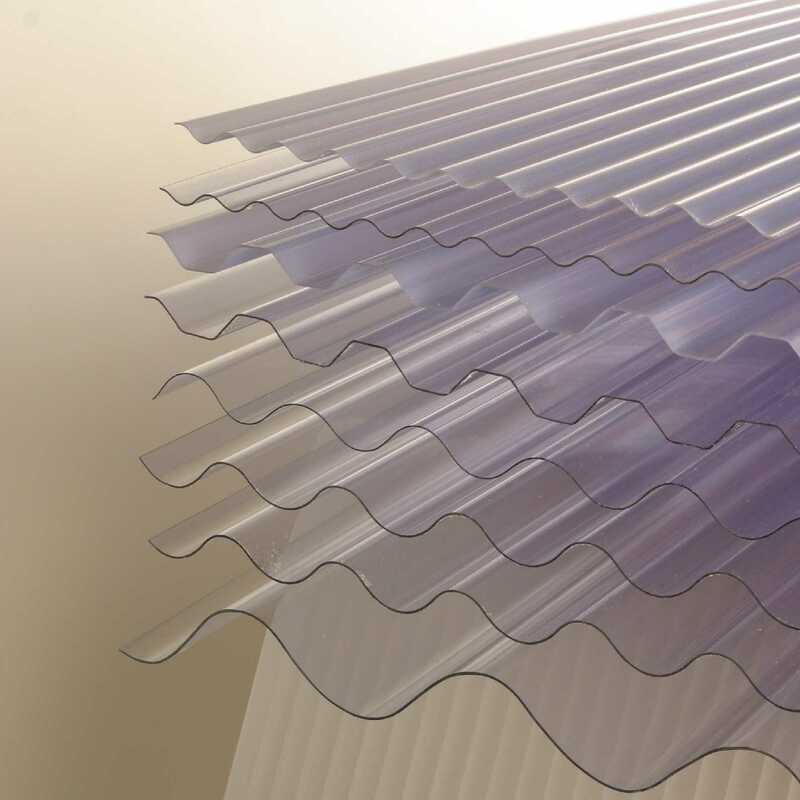 Clear 3” ASB Profile Corrugated UPVC Roofing Sheets is supplied in 762mm (30”) width sheets. Light Weight (0.8mm thick material). Heavy Weight (1.1mm thick material). Super Weight (1.3mm thick material). Typical applications include porches, canopies, carports and walkways. Fixings and components for use in roofing solutions for lean-to roofs, gable-roofs are also available. I would recommend your affordable products (UPVC Corrugated Roofing Sheets | 3) to anyone else considering this product, as it has been superb. Omega Build Shop | UPVC Corrugated Roofing Sheets | 3. You are viewing UPVC Corrugated Roofing Sheets | 3, buy online today!